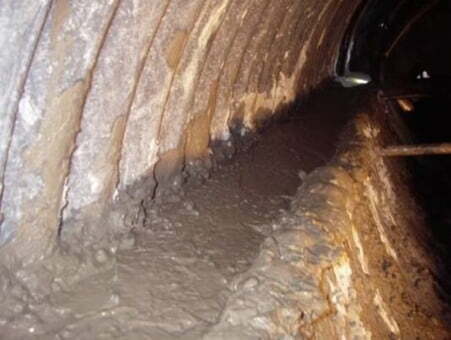 After carrying out numerous culvert repairs for Caerphilly County Borough Council, Edwards Diving Services Ltd, were appointed to carry out concrete relining works to the invert of St Philips & St James Culvert; which had become severely corroded with areas of washout. • to renew the lower half of the circumference of St Philips & St James Culvert with a 100mm thick concrete pour. 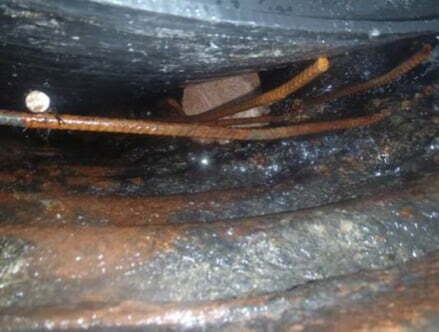 The purpose of the work was to repair the lower half of the circumference of the Armco pipe culvert due to the highly corroded condition of the existing invert. The specification supplied by Caerphilly County Borough Council was that the concrete should be 100mm thick, reinforced with A393 mesh reinforcing bar. 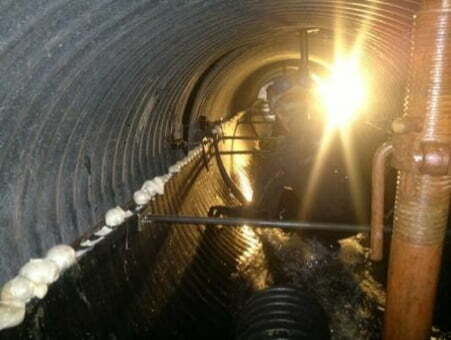 An underwater concrete mix containing Sika UCS was used for the concrete repair. 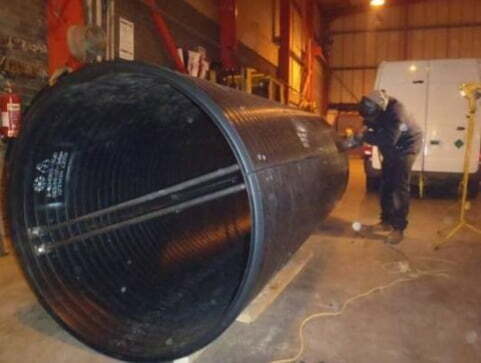 St Philips & St James Culvert is constructed from 1.5m internal diameter Armco pipe sections helically wound. To create a 100mm thick concrete pour to the lower half of the circumference, EDS used 1.3m external diameter Weholite pipe sections cut in half as the form work. The steel reinforcing mesh was rolled at the EDS workshop and transported to site. 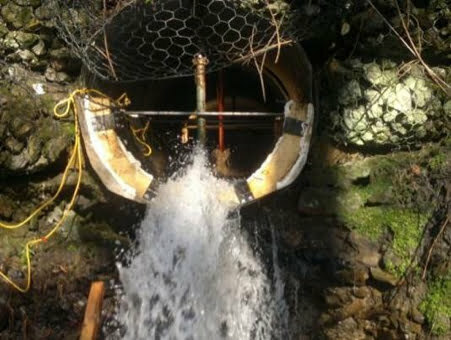 The mesh was fixed into place using steel brackets attached to the culvert abutments. 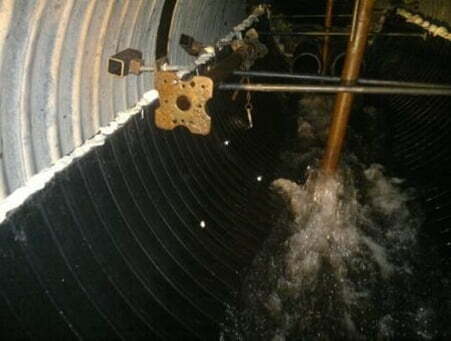 The formwork was then installed upon 100mm high packers and fixed to the culvert abutments. Acrow props were used to anchor the formwork to prevent it lifting with the internal weight of the concrete. 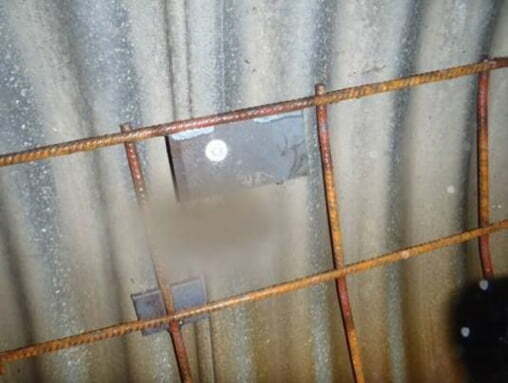 Either end of the formwork was sealed to contain the concrete. Each formwork section measured approximately 12m in length. At the start and end of each of the concrete poured sections the reinforcing mesh was cut out for 100mm to create an expansion joint. The downstream end of the culvert was poured first. 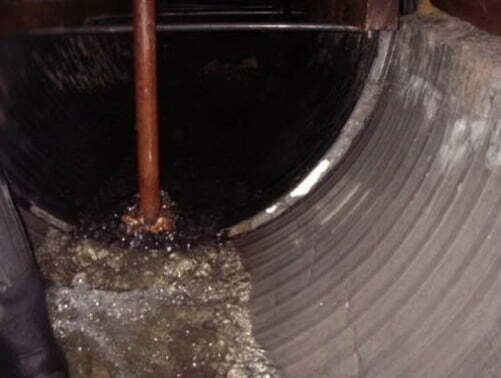 The use of the Weholite pipe allowed the water to flow over the top of the formwork during the concrete pour without the risk of the waterway becoming contaminated and eliminated the need for over pumping of the watercourse, reducing the cost of the repair work as the fast flowing water would have required the use of large diameter pumps and potentially road closures during concrete pumping operations. 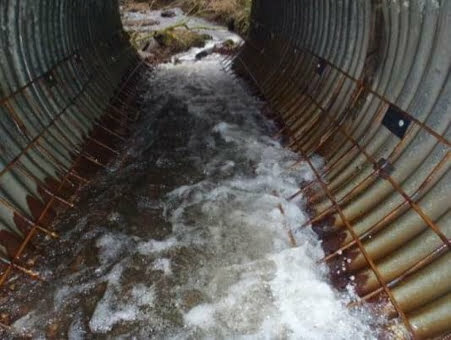 Prior to the concrete arriving on site, bales of hay were placed within the water course downstream to absorb any concrete spillage/wash out that could have occurred. On the day of the concrete pour, a concrete pump was used with flexible bagging to enable the pipe work to be moved along the length of the formwork as it filled up. EDS set up road signs and barriers for the safety of the general public. The end of the concrete pump was placed at the top of the formwork and was moved up/downstream once full. 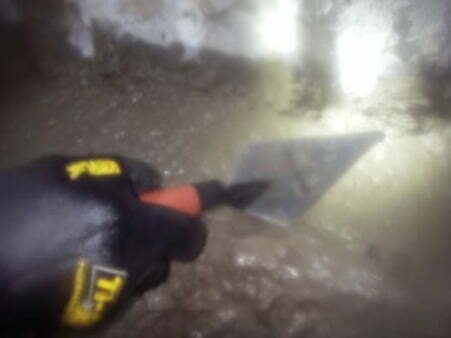 A 110V poker was used to ensure the concrete was compacted to the bottom of the formwork and to remove all air bubbles from the concrete to prevent honeycombing. Additional time for the concrete to cure was allowed due to the cold temperatures experienced during the works. The formwork was set such that the top of the concrete pour was sloped to prevent water pooling, as desired by CCBC. After the concrete had cured the 12m long section of form work was moved upstream, ending at the start of the previous concrete repair. The process was repeated until the entire 32m length of the culvert had been concreted. The final stage of the repair was to apply Bitumen Paint to the top of the repair overlapping the existing Armco pipe construction by 100mm. This was applied after the concrete had enough time to fully cure. 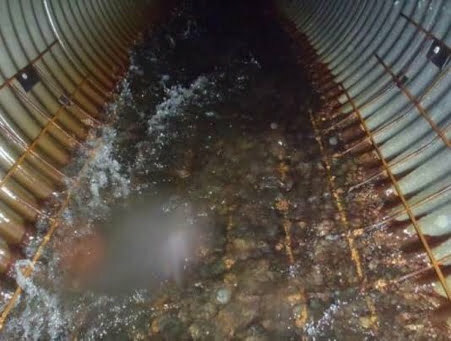 Due to the culvert being deformed, approaching elliptical in places, there were sections of the culvert where the formwork sat up to 200mm away from the side of the culvert. 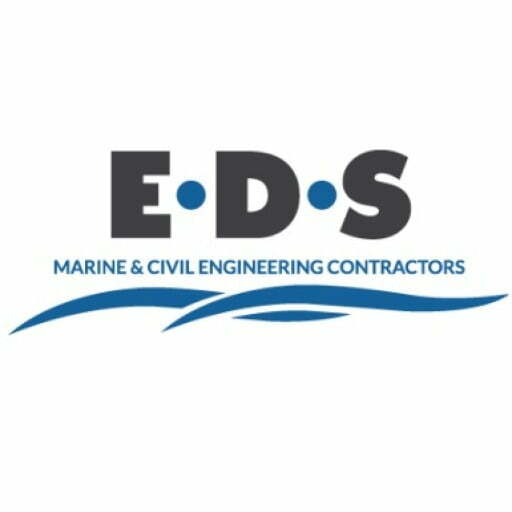 The flexible nature of EDS’ formwork design enabled this to be accommodated without any issues. 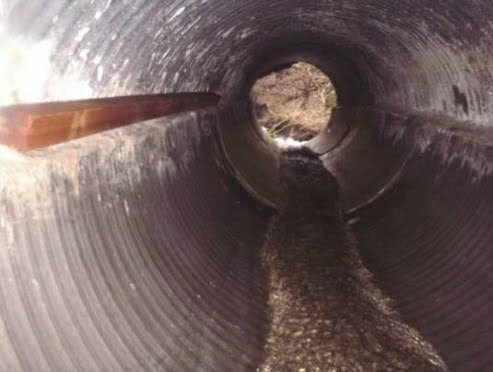 Mesh reinforcement fixed to the lower half of the culvert. Mesh reinforcement fixing point (left) – Formwork preparation (right). Formwork with reinforcement and packers, held in place by acrow props. Formwork in place with water freely flowing. Concrete pour behind the formwork and being finished.